Windows Firewall has been standard since Windows XP. In Windows XP SP2, it was enabled by default, and it has steadily improved over the years. Traffic that is explicitly allowed by an exception or a rule. Both inbound and outbound rules can be configured. Return traffic that has been requested. For example, if a user requests a web page from a website, the web page is allowed as return traffic. Windows Firewall works as both a packet-filtering firewall and a stateful firewall. A packet-filtering firewall can filter traffic based on IP addresses, ports, and some protocols. The firewall examines packets individually. Packets can be allowed or blocked based only on what is in each packet. A packet-filtering firewall can't evaluate packets based on the entire communication. A stateful firewall can monitor the state of a connection. In other words, instead of examining each packet individually, it evaluates the packets in the conversation. This allows a stateful firewall to detect and block many attacks. As a stateful firewall, it can inspect and filter all IPv4 and IPv6 traffic. If you suspect problems with the firewall, one of the first things you should check is the status. You can check it via the Control Panel. Type in Firewall in the Search Control Panel box, and click Check Firewall Status. Figure 1 shows the firewall status screen. Notice that it shows the firewall is controlled using the Domain Networks settings. The firewall has detected that the system is connected to the domain. This figure also shows both the Home Or Work (Private) Networks and Public Networks as Not Connected. If the system was connected to a public network, the Public Networks would appear as Connected, and the firewall would be controlled with the Public Networks settings. This display shows that the firewall is on and configured to block all connections that aren't on the list of allowed programs. It is also configured to provide a notification when Windows Firewall blocks a program. Some applications require that certain ports be opened or traffic using certain protocols be allowed. If the traffic is blocked, the application won't work. When configuring newly installed applications that aren't working, you should consider the possibility that an exception needs to be created in the firewall. 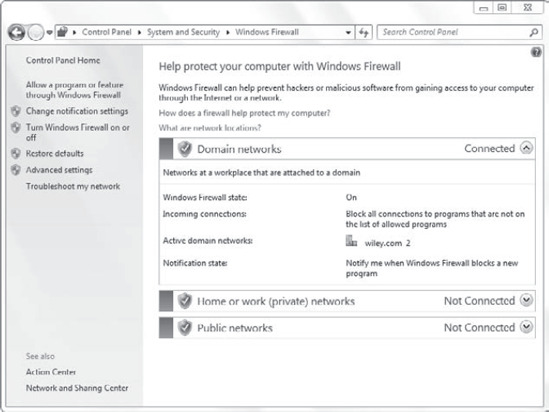 The top link on the left of the Windows Firewall status screen is labeled Allow A Program Or Feature Through Windows Firewall. You can see this link on Figure 11.16. If you click this link, you'll see the display shown in Figure 2. This can be used to create an exception for different applications. When an exception is enabled, traffic will be allowed. To create an exception, you can check the box for any of the features listed. You can create an exception for an application by clicking the Allow Another Program button. Most installed programs will automatically appear in this list, but you can also click Browse to locate the application. You can create firewall rules from the Windows Firewall Advanced Settings screen. You can modify preexisting rules or create your own rules. Custom rules allow you to specify traffic for specific protocols, protocol numbers, and ports. Figure 3 shows a partial list of the predefined rules.  Settings that are enabled are shown with a check mark in a green circle. Any of these settings can be enabled or disabled by right-clicking and selecting Enable Rule or Disable Rule. Most of the properties in the predefined rules can't be modified. However, you can re-create any rule to meet specific requirements. You can also create rules in Group Policy. The Computer Configuration => Policies => Windows Settings => Security Settings => Windows Firewall with Advanced Security node can be used to create new inbound rules, outbound rules, or connection security rules. Although none of the predefined rules are shown by default, they can be selected when creating a new rule. Launch the Windows Firewall Advanced Settings screen. Click Start => Control Panel. Type Firewall and select Windows Firewall. Click Advanced Settings. Select Inbound Rules. Right-click Inbound Rules and select New Rule. On the Select Rule Type page, you can select Program, Port, Predefined, or Custom. Select Port and click Next. Select either TCP or UDP based on the traffic you want to allow. Enter the port numbers you want to allow. Click Next. On the Action page, notice that you can select one of three settings: Allow The Connection, Allow The Connection If It Is Secure, or Block The Connection. Select Allow The Connection and click Next. The Profile page appears. You can have this rule apply to the Domain, Private, and/or the Public network profiles. They are all checked by default. Click Next. Name your rule and enter a description if desired. Click Finish, and it is created.